S.P.J. 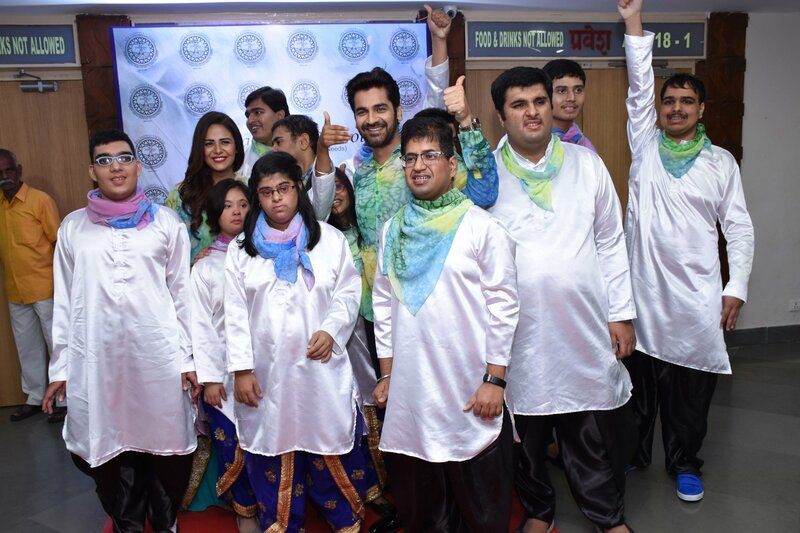 Sadhana School, the internationally acclaimed school for children with special needs, hosted a fashion extravaganza by their graduating class in the presence of renowned designer Krishna Mehta along with Mona Singh and Arjan Bajwa. 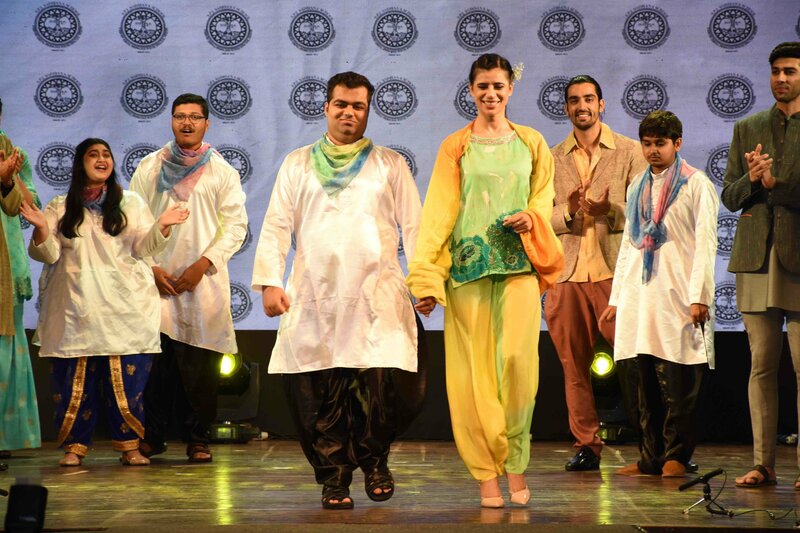 The event was presented under the able conceptualisation, artistry and direction of fashion designer par excellence Mrs. Krishna Mehta and spearheaded by Mr. Kedhar Gawde. S.P.J. Sadhana School caters to students with learning challenges and empowers them to develop independent problem-solving skills and critical thinking. The collection was curated after four years of laughter and joy, tears and toil by the talented young adults of the Visual Arts and Work World Skills Department. They worked with finesse in the wider world of high society fashion and showcased the fabrics and jewellery at the event. 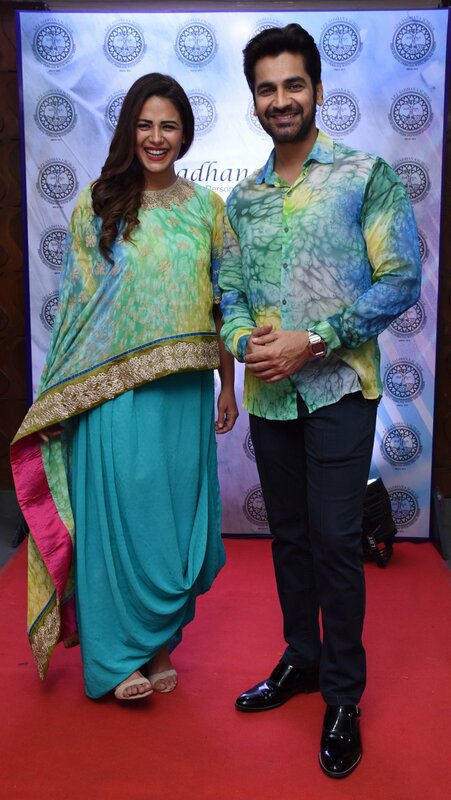 The evening witnessed a unique fashion and art representation with gorgeous Mona Singh and Arjan Bajwa walking the ramp alongside the models showcasing the exquisite collection and the event was hosted by extraordinaire Rakshanda Khan. I am not a fashion designer, for me it is all about textiles, for me it is all about the core, the main substance of the garment. Our signature is in the details. Literally. I love the details. I feel a garment is only 70% complete till you put the final hand touches. Buttons, embellishments, small subtle stitches- these really elevate the garment. Our texturizations and block prints are also something we take great pride in. Working on the fabric and changing the face of it is really exciting for me. No two seasons are ever the same. The idea is to keep moving. Keep changing and doing interesting things. I feel that the students of S.P.J. Sadhana School have tremendous potential in this and have put forth work that is exactly up my alley. 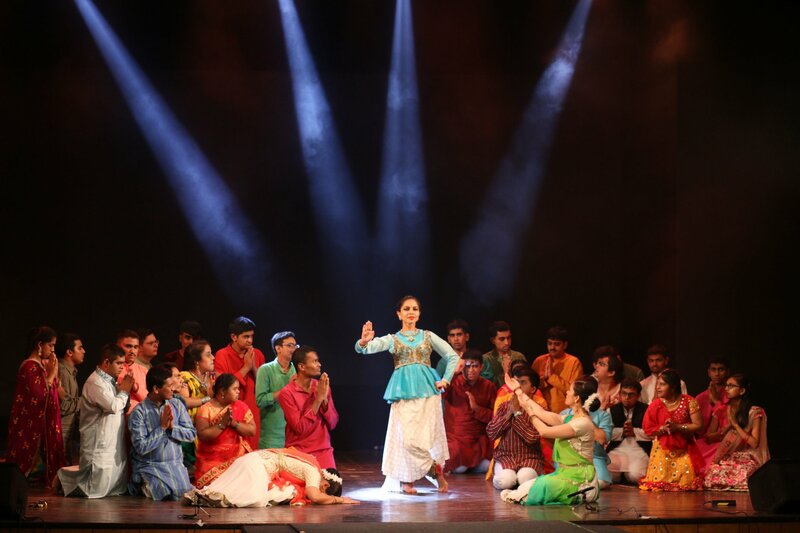 The show concluded with thunderous applause by the audience which would serve as a never-ending motivation for the kids to end their anxiety and prove it to the world that they are indeed special in their own way. Notably, S P J Sadhana is the only center in the world offering 5-year polytechnic courses to mentally challenged young adult and guaranteeing 100 per cent employment. The school and its teachers empower the mentally disabled children/adults to lead a respectful and productive life in society. And create my own destiny.